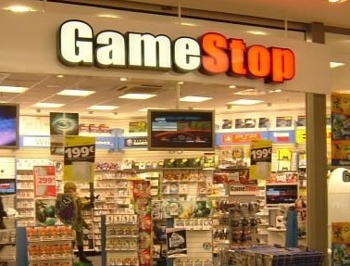 GameStop CEO Paul Raines says the company is "thinking about everything" as it ponders the possibility of selling classic videogames and hardware. Everybody got good and mad last week when GameStop head honcho Paul Raines revealed that the retailer was looking into "vintage sales opportunities" that are currently the domain of eBay, tiny specialty sites and the occasional yard sale. Raines said the idea hadn't yet coalesced into anything useful, but he sounded insistent about carving off a slice of that pie. "We've got to be in that business," he said. "We will be." In spite of the most fervent wishes of GameStop haters, it doesn't appear that he was just talking to hear himself speak. In a follow-up interview with Joystiq, Raines said that plans are tentative at this stage, but wheels are turning. "We're thinking about everything. Nothing we'd really want to call out yet," he said. "Our dotcom team is right now grinding through a lot of opportunities to see what's out there and see what we can get our hands on and what we can merchandise." "Part of what we have to do is we have to go source a lot of this product, get customers to trade some of their old product with us, and go find some old consoles, but we also own a lot of old product," he said. He admitted that GameStop isn't swimming in the really old stuff but pointed out that the Game Boy Advance was only pulled from circulation a year and a half ago, that the original Xbox was kept in stock until 2009 and the PlayStation 2 is still around, albeit in reduced numbers. Furthermore, a lot of relatively old, hard-to-find games are still banging around in various GameStop locations, where they're of absolutely no use to the vast majority of customers who'd be interested in buying them. "Sometimes what's funny is if you put a preowned title in the store, a lot of customers may not really want it in a store, But if you're a collector of Call of Duty, and there's an old Call of Duty original, Call of Duty 2, floating around, it has a lot of value for you," he explained. "Right now, you don't have an easy way to find it, because it might not be available on our website, but it might be in 300 stores out of our 4,600 in the U.S. and you don't have a way of finding it. So if we can put that collector's type product on a really cool site that allows you to see what we have available and so forth, then we think it's interesting." As much as anything else, that access to inventory is why I think this is a potentially great idea. I used to buy a lot of pre-owned stuff, back in the days when GameStop (or EB, as it's more commonly known in the Great White North) still carried pre-owned PC games, not because I'm cheap but because it's the only way to get a lot of games I missed the first time around. But it's a crap shoot; maybe your local branch has this stuff, and maybe it doesn't. If GameStop can make all of that stock available to anyone, how is that anything but a win for collectors?